Thriller for major part of the writing world have done a world of good to many writers. For some it has become bread and butter and for others it's a way of enthralling readers while offering newest means to connect to thrill. Author Lee Child with his numero uno character "Jack Reacher" tries to trudge on both the lanes and capture the eager minds of the readers with his mind bender. So has he done it to perfection? Let's find out. Jack Reacher is an ex-military official and a wanderer. A man without any baggage or belongings, he takes up strange jobs on a part-time basis and keeps roaming around, exploring his country. In 61 Hours, Jack is on a bus that veers and crashes in a snowstorm near a small town in South Dakota. The town of Bolton happens to be one of the biggest prisons in the country, and for this very reason, it places a full demand on law enforcement resources. Forced to stay on for a few days in Bolton, Jack soon gets drawn into various affairs of the little town, the biggest being a forthcoming drugs trial. The trial involves a leader of a biker gang, who has been detained on a drug transaction charge. The chief witness, a woman, is in severe jeopardy, as the drug mafia does not want her to appear in court against them. Inexperienced and desperately in need of help, the local police hand over the task of protecting the woman to Jack. Will he be able to save her or run into more danger? Find out what happens to both Jack and the lady in this unputdownable page-turner. First look at the title and the cover and a reader can smell Jack Reacher coming from far beyond some mystified lands. All alone and travelling light as usual is his trademark style and the cover image is a living proof of the same. The blurb talks about his latest escapades in Bolton a small town where he gets holed up for some unknown reasons. The blurb manages to catch the attention, thus keeping the spirit of a thriller alive. 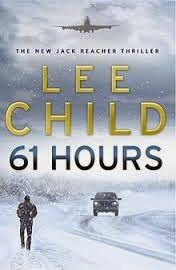 The story starts off in Bolton where heavy snowfall results in problems for Jack Reacher and an army of oldies who are on a tour. His immediate job becomes to help people to get out of the bus and then defeat the winter chill of Bolton. Once they reach Bolton Reacher finds himself amidst action as a lot is on the plate of the P.D and they ask Reacher for help. Soon Reacher's expertise turns into a struggle against an unknown entity hidden in plain sights operating from distant lands as he finds himself at crossroads. Will Reacher be able to do his duty? Will he walk away from it? For once, will he let his guard down and repent it? Or will he be up to the task and make the mafia pay for their sins? That's what the story is all about. A handful of people, a sharp and weary Jack Reacher and his good old mind as a personal aide brings forth the intensity and tenacity in the story. The small town set up with lack of resources gives leverage to the entire scenario created by the author. The book moves at a sluggish pace and manages to keep the sanctity of Reacher alive throughout the story. The bits and pieces of action and drama and some suspense acts as a glory for the story. The book lacks candidness and up front action and primary face in terms of an antagonist. The effectiveness of the antagonist undermined completely and left too much in dark. There's no extraordinary skill and plot to keep the story moving forward and eventuality dawns with the plot fizzling out completely towards the end. A pale end and the parallel plots too not leaving an impact which one expects from the series. The book lacks momentum and is found to be over exaggerated. Cutting down on vivid descriptions could have done a world of good too. All in all the story is a sorry affair and turns out to be a dud in terms of high performance deliverance. The sluggish starts promises a lot but fails to enlighten up the charm of Reacher. Characters not fully optimized and story a half baked and over stretched affair. In entirety it fails to capture the thrill part and falters and tumbles down to the darkest pits. The only point from which readers can take heart that Reacher survives the fall in the end. A very tame book in the series.